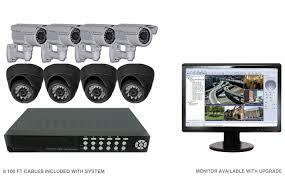 A good CCTV system can not only add extra security measures for your home or business, it can do so much more. The benefits of having closed circuit TV systems are many. One of the most obvious ways that this system can help secure your home or business is with visual identification. Security cameras that come with any system are capable of streaming the video feed to a monitor, which can be directly viewed and monitored by you or your security personnel. This enables you to keep an active watch over the areas you wish to have more security. For the home environment, this could be a few places. One key area to have good CCTV cameras installed would be overlooking the main entryway to your home, such as the main gate or front door. Now, certainly most people don’t have panic rooms in their home, but for those who plan on having one implemented, our CCTV installation services are simply a must. We can help you identify the best areas to monitor with your cameras and get them installed for you professionally. Locksmith Thornhill specializes in closed circuit systems, especially with any commercial CCTV system. This process can go a long towards helping to secure your facility or place of business. In fact, many would be criminals think twice when they see a security camera. They know that they are being watched and monitored, or at the very least recorded. They know that this can lead to them being tracked down and caught, no matter how smooth their criminal activity progresses. This is extremely useful for you as a business owner or person in charge of security for your organization. Consider a professionally installed CCTV Systems in Thornhill today from your friends at Thornhill Locksmith and we’ll do our best to ensure your satisfaction.